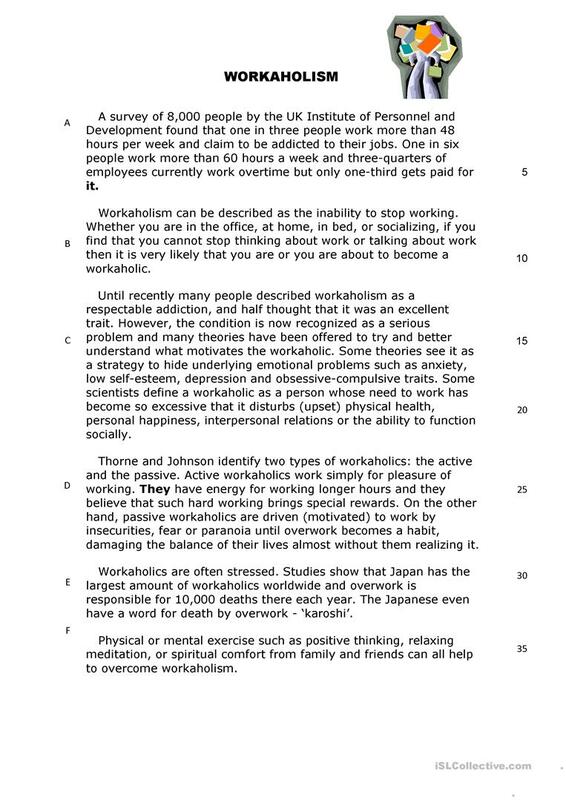 reading comprehension evaluation on workahokism for highschool students. It is one page long and has multiple answer questions along with answer key. It is a good text at a level of secondary 2 or 3 and can be done within a 75 minute period. This downloadable teaching material is best suited for high school students at Pre-intermediate (A2) level. It is excellent for enhancing your class' Reading skills. It features the theme of Jobs, work.